Simon was an electronic memory game released by Milton Bradley in 1978 that became an instant hit worldwide. Launched at Studio 54 in New York, its popularity was based on its simple premise (very easy to pick up), the gameplay itself (visual/touch/sound/memory!) and a subtle but clever decision by its creators to make the sounds themselves harmonic - it always sounds pleasing whichever order the tones play. 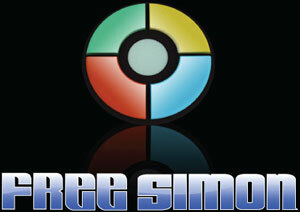 You can play the Simon game online here.